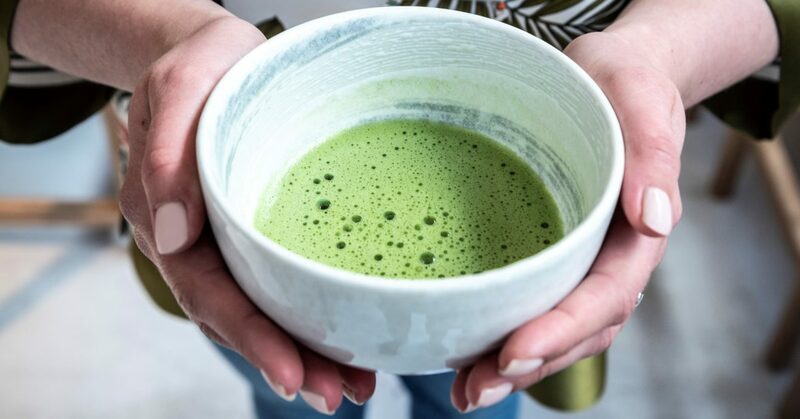 Creamy, grassy and light sweet… You will find all these wonderful tastes in the most superior Matcha: Organic Matcha Ceremonial A. Full-bodied, umami, velvet soft structure and not bitter. 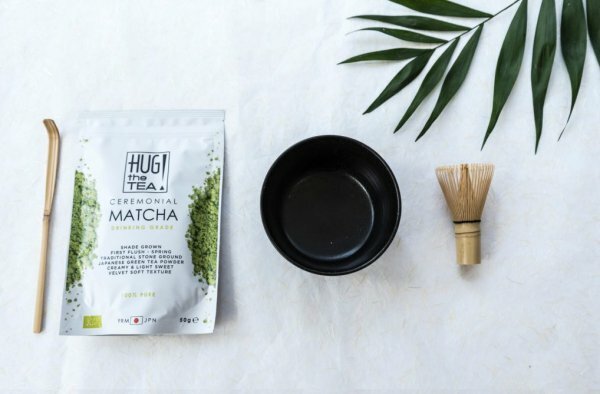 This Matcha is made of the youngest tea leaves (Spring pick) and besides, of all green teas it contains the most antioxidants. 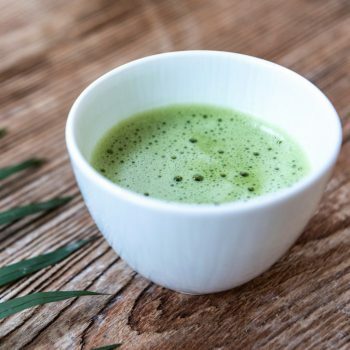 The most unique antioxidant in this Matcha is EGCg. The possibilities with Matcha are endless. 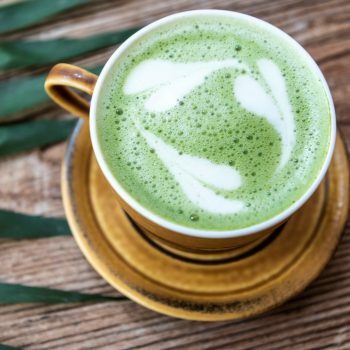 Try a Matcha Latte yourself. Whisk up around 60 ml water (80 degrees Celsius) and 1 gram Organic Premium Matcha B into a bowl and add around 150 ml of foamed almond milk (or other milk). Premium Matcha is a little stronger than the Ceremonial Matcha A and is delicious in combination with the creamy taste of (vegetable) milk. Tip: try also a (ice) cold version, the Iced Matcha Latte! The color of Matcha itself isn’t just wonderful fresh and green, it also gives a great taste! Our Classic Matcha (grade C) is suitable for cooking, baking and blending. 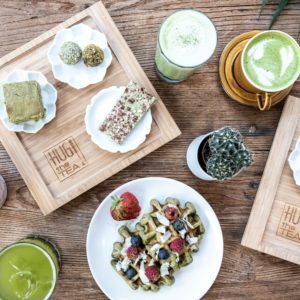 For example, make matcha waffles, blondie (with white chocolate), blissballs or choco granola bar, Recipes on our blog! Matcha inspiration? Such as Matcha Latte, Matcha sweets and other Japanese tea-moments? 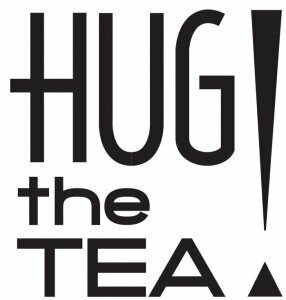 Follow us on Instagram @hugthetea or use #hugthetea to share your Matcha, tea moments and the like with us and the rest of the world. 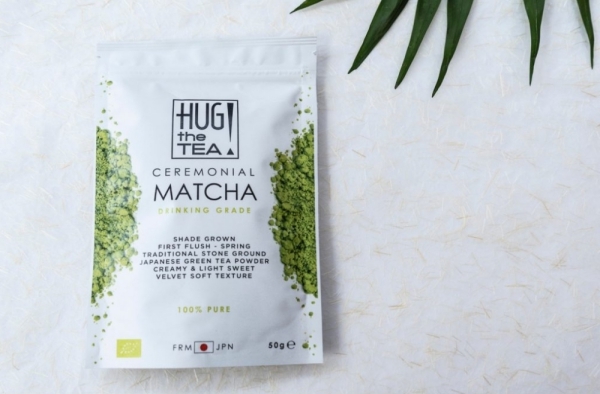 Let’s spread the Matcha love! Lost your password? New user?